Snapdeal, India's second-largest homegrown online retailer, has launched its own private cloud platform christened Snapdeal Cirrus which the firm hopes will help save costs and offer performance gains across its applications. Cirrus, built entirely on open source, will help Snapdeal handle its long-term growth in traffic and analyse big data to build personalised and relevant experiences for its consumers. It will also ensure that the firm's business growth is augmented with platform speed, security and stability, the company said in a statement. The hybrid cloud architecture expands seamlessly to public and allows various applications to be dynamically assigned to run in different parts of the cloud, it said. "Snapdeal was born in the cloud, but public clouds stop being cost efficient after a scale, which became the case for Snapdeal sometime last year. 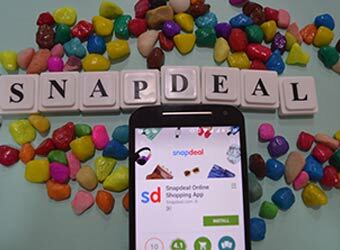 In a short span of 10 months, we have succeeded in building a resilient, scalable and secure solution," said Rajiv Mangla, chief technology officer at Snapdeal. Cirrus spans across three data centre regions, with a server architecture of 100,000 cores, 16 PB of storage and 100G SDN infrastructure. According to research firm Canalys, worldwide expenditure on cloud infrastructure services is estimated to be at $8.2 billion in Q1 2016, which is a 53% increase from the previous year. It is expected that the total expenditure will exceed $38 billion in 2016. Snapdeal's homegrown rival Flipkart, which used to work with outsourced data centre services providers like NetMagic, began moving its data centres in-house a year ago to build its own network of server farms. Just like Amazon's cloud-computing arm Amazon Web Services (AWS), which recently unveiled its first data centre location in India, Flipkart may offer its network for other online firms in the future. According to Gartner's Magic Quadrant for cloud infrastructure services in Q2 2016, AWS topped the list followed by Microsoft, IBM and Google. In fact, AWS contributes over 50% of Amazon's profits, becoming its most profitable division.